Soccer goalkeeper training drills for youth and advanced keepers. Learn about goal kicks, catching, footwork, angles, how to dive, be the best on crosses, leadership and mentally prepare for games and more. Soccer goalie training videos by keeperstop goalkeeper clinics and the best coaches from around the world. Periodization in goalkeeper training is the planning of training for performance, development, and injury resistance. It is the systematic approach that the goalkeeper coach holistically develops the athlete. Development that goes beyond the technical and tactical considerations. 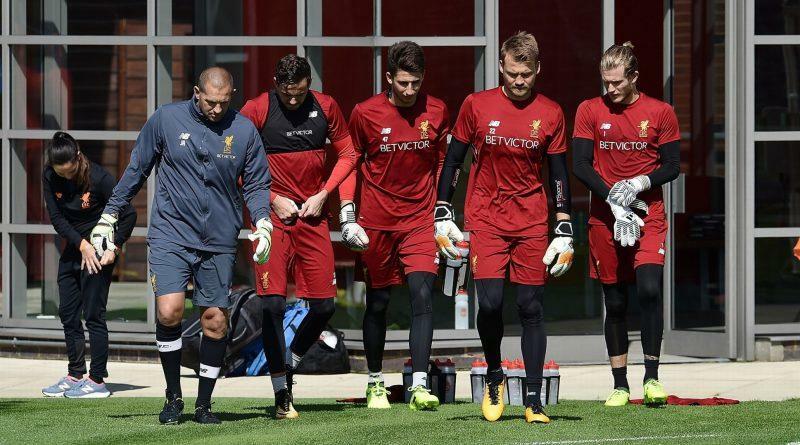 This becomes very important as the youth goalkeeper starts to grow. 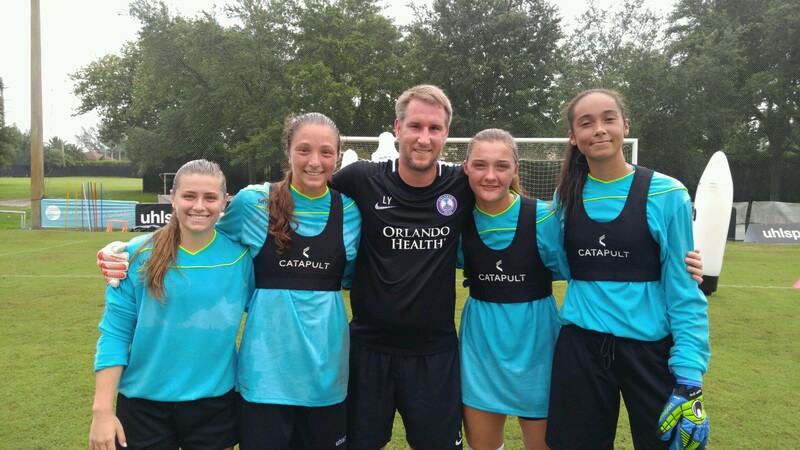 The most important characteristic to Coach Yaxley when scouting female college goalkeepers for the next level or evaluating the Orlando Pride goalkeepers is making the correct decision and employing the correct technique. 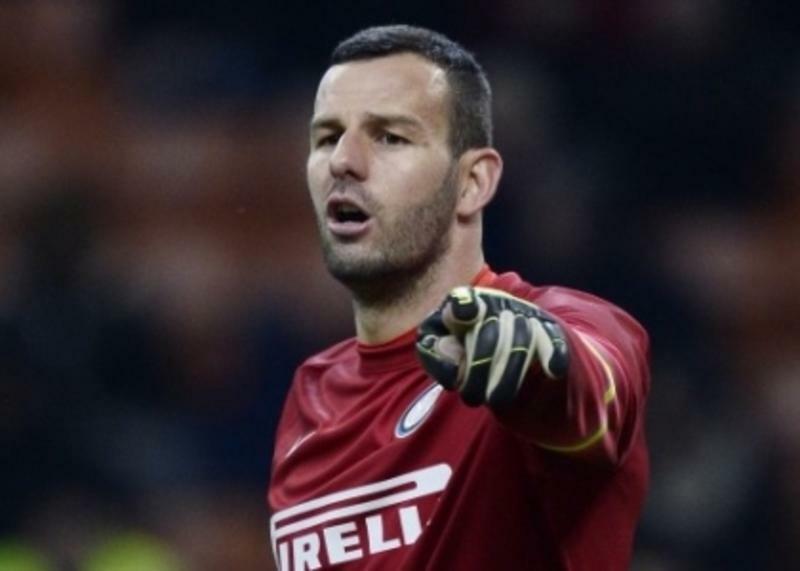 The personality of the starting goalkeeper must be confident. Believe in themselves. How do you train and motivate the third and second goalkeepers while maintaining the first choice goalkeeper? 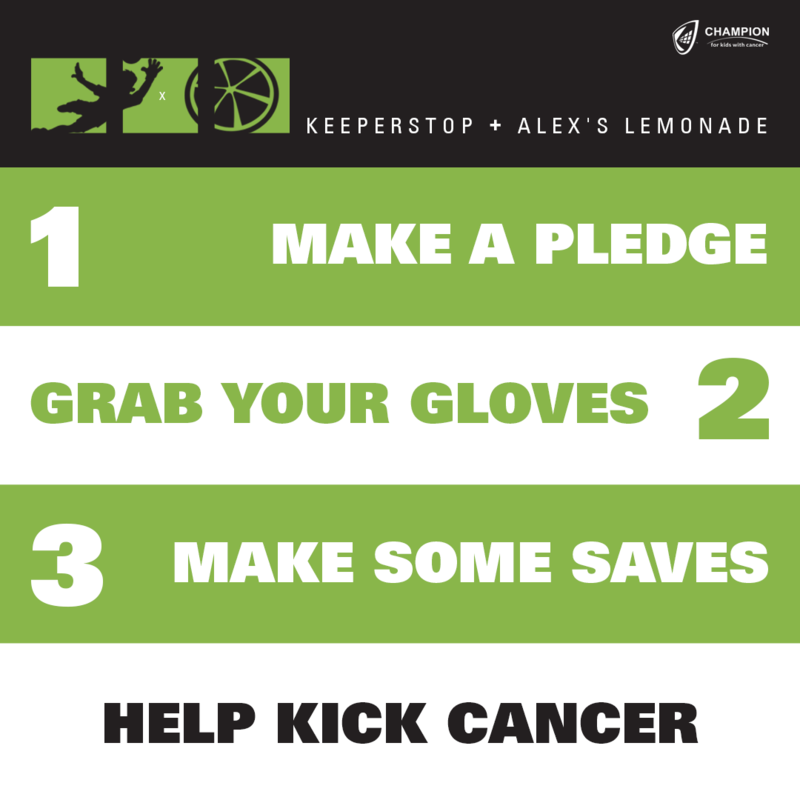 Alexs Lemonade Stand and Keeperstop partner for Champions Kick-It.org campaign. Keeperstop has partnered with Alexs Lemonade Stand Foundation to raise money for childhood cancer research and help families in need. Champion For Kids with Cancer fundraiser is free to register and turns every save for a goalkeeper or a goal for a field player into life saving dollars to fund pediatric cancer research projects. This is a great way for busy student athletes to make a difference and provide a valuable community service. Goalkeeper Camps and Combines, Are They Worth It? Are college camps and recruiting combines for goalkeepers worth it? Money and time are limited. Do your research on the recruiting combine. Which goalkeeper coaches will be there? 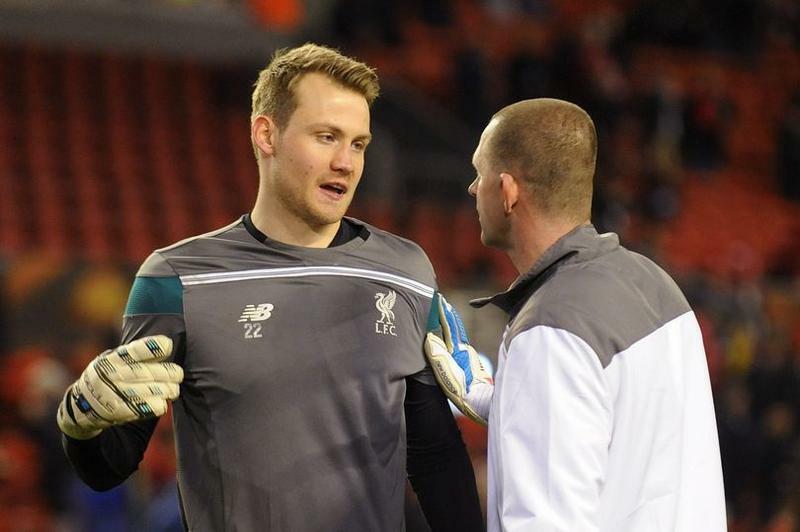 Meeting coaches and performing in a group with your fellow goalkeepers can be intimidating. Goalkeeper training warm up and progression utilizing Hummel Mini balls and Select Super FIFA soccer balls for varying types handling and distribution challenges. Whether a youth or advanced goalkeeper is participating in diving drills or a foot work session a goalie should be using their hands and feet to problem solve and make decisions on how to control the body and ball. When and how to dive for a shot for a goalkeeper is easy in theory. There are tons of highlight videos demonstrating diving techniques. Diving comes down to controlling the body and the ball. The collapse dive goalkeeper training session introduces drills and coaching points to reinforce proper techniques from a cognitive goalkeeper warm up to more game realistic shot and save scenerios for youth goalies. Sizing youth goalkeeper gloves is difficult. Manufactures such as Adidas, Reusch, Uhlsport, and Elite Sport fit differently. Measure the youth goalie's hand with a tape measure or ruler the length of the hand from tip of the middle finger to the end of the palm until the first crease of the wrist. This measurement will help approximate the correct size based on the accurate length. Contact keeperstop.com with any goalkeeper glove sizing questions.